Some of the most extraordinary objects in the cosmos are called “planetary nebulae,” a misleading term that really should be ditched by the astronomical community, because so-called planetary nebulae have no connection whatsoever to planets. Planetary nebulae are actually dying stars that have between half the mass of our Sun on up to about eight solar masses. Instead of exploding as supernovae like larger stars do, this class of star violently expels its outer gas layers. The early phase of the process produces what’s known as a “proto-planetary nebula”. This stage of stellar death is particularly interesting, as we can see in the two images shown here. First let’s take a look at the perfect Archimedian Spiral in the above Hubble Space Telescope photograph of the prosaically named IRAS 23166+1655, a proto-planetary nebula around the star LL Pegasi that’s only visible in near-infrared light. LL Pegasi is actually a binary star system, with a child star orbiting a parent that’s in its death throes and ejecting material into space. 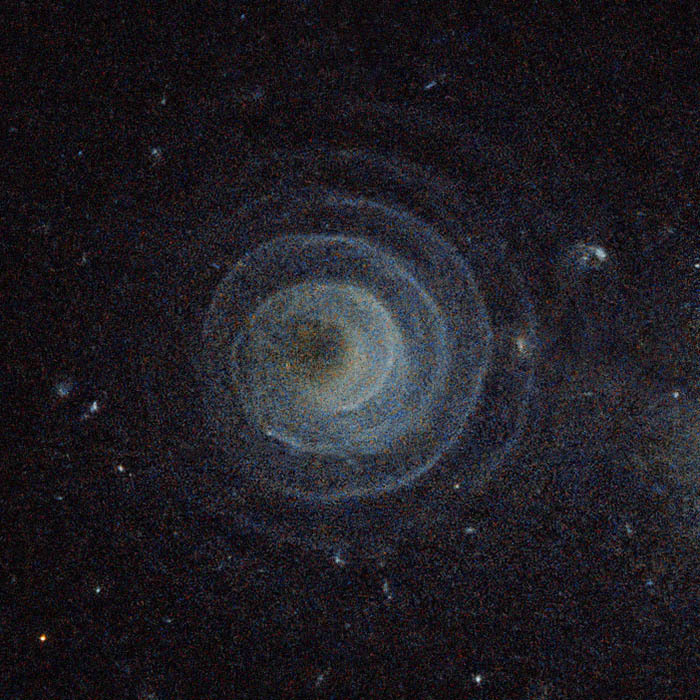 Astronomers believe IRAS 23166+1655’s spiral pattern is created when dust and gas radiate outward from the binary system at speeds of 50,000 kilometers per hour. The space between each “arm” of the spiral is determined by the child star’s 810-year orbit. 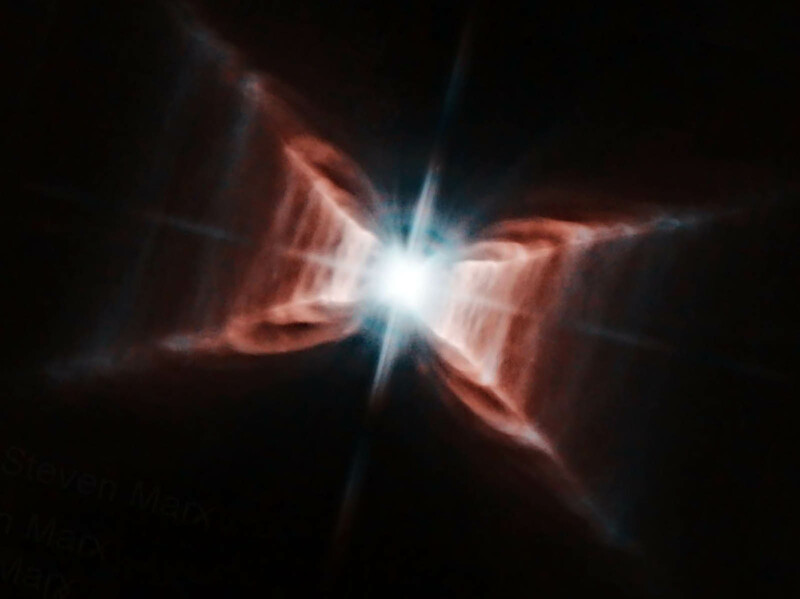 The stellar object got its name from early photographs that gave it a rectangular appearance, but this higher-resolution 2010 Hubble photograph shows it actually forms an “X” framed with symmetrical rungs of dust and glowing gas around it. The primary star in the center of the Red Rectangle began shedding its outer layers roughly 14,000 years ago. A few thousand more years down the line it’ll release an intense ultraviolet light that will cause the gas around it to fluoresce, creating a full-on planetary nebula (planet not included).